As diabetes continues to spread all over the world, it is essential that an effective approach to its prevention and treatment is adopted. Current mainstream recommendations are not powerful enough and medication does not treat the condition. Diabetes mellitus is a health condition characterised by high levels of glucose (sugar) in the blood, which the body cannot use properly and eventually excretes in the urine (together with a lot of water). It is caused either by the pancreas not producing hormone insulin (or not enough of it) or by the body cells’ inability to react to insulin. Insulin is produced by the pancreas and acts as a key that lets glucose into the body’s cells. Glucose is a vital source of energy for the cells and thus the main fuel for the body’s processes. It comes from digesting carbohydrate and it’s also partially produced by the liver. Carbohydrates are the main nutrient in healthy foods such as wholegrain or rye bread, pasta, oats, brown rice, pulses (beans, peas, and lentils), sweet potatoes, and in not so healthy foods such as white bread, cakes, sweets and other sugary foods. If the body cannot use glucose as a source of energy, it uses fat instead but this inevitably disturbs biochemical balance of the body and leads to further health complications. Symptoms of diabetes include tiredness, irritability, nausea, hunger, weight loss, blurred vision, tingling sensations in the hands and feet and dry, itchy skin. In 1985 an estimated 30 million people worldwide had diabetes; a decade later this figure had increased to 135 million and by 2000 an estimated 171 million people had diabetes. It is predicted that at least 366 million people will have diabetes by 2030 (WHO, 2005). The increase in diabetes is attributed to a range of factors including population growth, ageing, unhealthy diets that are high in saturated fat and cholesterol, obesity and lack of physical exercise. In the UK alone 2.8 million people are diagnosed with diabetes (Diabetes UK, 2010a), while it is estimated that up to half a million more people have not been diagnosed yet (Diabetes UK, 2010b). In 2008, 145,000 people were diagnosed with diabetes in the UK – that’s around 400 people every day! According to the latest numbers, it is expected that by 2025 over four million people in the UK will have diabetes. Because of rapid increase in the number of overweight and obese people and due to the fact that British population is aging, most of these cases will be type 2 diabetes (Diabetes UK, 2010b). At the moment, 85 percent of adult UK citizens with diabetes have Type 2 diabetes and 15 per cent Type 1 (Diabetes UK, 2010b). The current criteria for a person to be diagnosed with diabetes are based on repeated blood tests. These tests measure the amount of glucose (sugar) in the blood, specifically in the part of the blood called plasma. Another criterion to be considered is HbA1c (glycosylated haemoglobin), reflecting average level of blood glucose over a period of weeks. Hemoglobin molecules are one of the main components of red blood cells and when glucose binds to hemoglobin in the bloodstream HbA1c occurs. The more glucose is in the blood, the more HbA1c will be present. Red blood cells survive for eight to 12 weeks before renewal, therefore by measuring HbA1c an average blood glucose reading can be returned. For non-diabetics, the usual reading is 3.5-5.5 per cent. For people with diabetes, an HbA1c level of 6.5 per cent is considered good control, although some prefer numbers closer to non-diabetic (Diabetes.co.uk). Type 1 diabetes typically develops early in life when the immune system attacks the insulin-producing cells in the pancreas by mistake and effectively destroys them. The body is then unable to produce any insulin. Because insulin is vital for glucose to be able to enter the body’s cells, when insulin is absent, the glucose builds up in the blood. Type 1 diabetes accounts for ten per cent of all people with diabetes (Diabetes UK, 2010b). The incidence of this disease is increasing in all age groups but the rise is particularly steep among children under five years old (NHS, 2008). Type 2 diabetes means that the body can still make some insulin, but not enough, or the body doesn’t react to insulin properly (insulin resistance) so glucose builds up in the blood. This condition accounts for approximately 90 per cent of all people with diabetes (Diabetes UK, 2010b). Type 2 diabetes usually develops in people over the age of 40, but South Asian and African-Caribbean people are at greater risk as they often become diabetic relatively early in life - around the age of 25 (Diabetes UK, 2010b). Nevertheless, Type 2 diabetes is rapidly becoming more common in children, adolescents and young people of all ethnicities. It is being ascribed mainly to the increase in childhood obesity (NHS, 2008). This type of diabetes appears during pregnancy, usually after the first trimester. In most cases, it arises because the body cannot produce enough insulin for the mother and the baby. However, if diabetes occurs during the first trimester, it is likely to have existed already before the pregnancy. As body weight is a critical factor and obesity puts people at high risk of Type 2 diabetes, the same rule applies to pregnant women - those who are overweight or obese are at higher risk of developing gestational diabetes. This type of diabetes affects up to five per cent of all pregnancies (Lancet, 2008). The risk of developing Type 2 diabetes later in life for women who suffered gestational diabetes is 30 per cent (Girling and Dornhorst, 2004). Metabolic syndrome or Syndrome X is a condition characterised by central obesity (most weight accumulated around the waist), raised blood pressure, raised triglycerides (fats in the blood), low HDL (the ‘good’ cholesterol – cholesterol being cleared away from the bloodstream) and impaired glucose metabolism. Impaired glucose metabolism means that the body is not using glucose properly and the level in the blood is elevated but not yet reaching diabetic levels. All these symptoms significantly increase the risk of diabetes and cardiovascular disease. Individuals with impaired glucose metabolism – elevated blood glucose – that is not yet reaching diabetic levels are diagnosed with pre-diabetes. This condition is also associated with insulin resistance. The main risk factor is obesity and related risk factors include high blood pressure, low HDL cholesterol, and high triglycerides. Pre-diabetes almost always precedes type 2 diabetes but many people don’t know they have the condition until diabetes has developed. However, pre-diabetes as well as metabolic syndrome is reversible with the right lifestyle intervention approach. Diabetes is not usually diagnosed immediately after its onset and by the time the diagnosis is made many people will have already developed some health complications. However, even people who are aware of their condition and have adjusted their lifestyle to it are still at a considerable risk of heart disease, stroke, eye problems, kidney disease, nerve damage and amputations. Our genetic make-up plays an important role and a certain set of genes can make us more or less susceptible to developing diabetes. However, even if your genes are making you more likely to develop this disease, it doesn’t mean you will. Several gene variants have been identified as contributing to type 1 diabetes susceptibility but only a small proportion of people with those genes – less than ten per cent - develop the disease (Knip et al., 2005). This means that an environmental factor is necessary to trigger the reaction destroying insulin producing cells. Lifestyle and environment also play an enormous role in the development and severity of type 2 diabetes. Even individuals with susceptible genes or people who have already developed type 2 diabetes don’t have to live with the condition for the rest of their lives. Lifestyle plays an enormous role in either increasing or decreasing the risk of developing the disease. As you have seen, even if both parents have diabetes, it doesn’t necessarily mean the child will develop it too. It has been known for a long time that Type 1 diabetes is triggered by something from the environment. The widely accepted theory is that a viral or another infection might be the culprit, making the body attack its insulin producing cells by mistake. However, the hypothesis that cow’s milk is the main trigger was put forward in 1990’s (Karjalainen et al., 1992; Gerstein, 1994; Ǻkerblom and Knip, 1998) and has been more and more accepted ever since. A baby with a susceptible genetic make-up is exposed to cow’s milk early in life, perhaps through an infant formula. The baby’s immune system might be further weakened by a virus infection, increasing the risk for type 1 diabetes. When the milk proteins reach the small intestine, they are not fully digested; instead, they are broken down to smaller amino acid chains. These fragments may be absorbed into the blood and if that happens, the immune system recognises them as foreign intruders and starts attacking them. Coincidentally the structure of some of the fragments is identical to the structure of the surface of the insulin producing cells (β-cells) in the pancreas (Karjalainen et al., 1992; Martin et al., 1991) and the body cannot distinguish between those two. Pancreas β-cells are therefore attacked and destroyed by the immune system as well as the milk protein fragments and the infant becomes diabetic. Type 1 diabetes is irreversible as the cells cannot regenerate. The process of β-cell destruction can be fast and aggressive leading to disease manifestation within a few months or it can be slow and lasting for years (sometimes even more than ten years) as β-cells are gradually destroyed (Knip et al., 2005). However, the fast progression is rare (Knip, 2002). But what exactly are the milk proteins responsible for this reaction? There are three proteins from which the human immune system is immediately defending itself. Bovine serum albumin (BSA) – although human milk also contains albumin, they are different in structure. When scientists tested type 1 diabetic and healthy children for antibodies against BSA (Karjalainen et al., 1992), the results were astonishing: All diabetic children had the levels of antibodies as much as seven times higher than the healthy children. Since then, a number of studies ensued and all but one found that diabetic children have unusually high levels of BSA antibodies in the blood (Hammond-McKibben and Dosch, 1997). β casein - the structure of human β casein is similar to β casein from cow’s milk but about 30 per cent of it are different, which is assumed to be the reason why the immune system reacts to it (Cavallo et al., 1996). Just like with BSA, there are structure similarities between cow’s milk β casein and the surface molecules of the insulin producing pancreas cells. That makes it possible for the immune system to attack β casein as well as the pancreas cells by mistake (Cavallo et al., 1996; Becker et al., 1995). Cow’s insulin - cow’s insulin present in formula milk triggers the formation of specific antibodies (Vaarala et al., 1999). Scientific research shows that the immune system of genetically susceptible babies given cow’s milk formula as early as at three-months of age reacts to cow’s insulin very strongly by forming anti-insulin antibodies (Paronen et al., 2000). A study focused directly on the combination on the susceptible genes and cow’s milk (Perez-Bravo et al., 1996) revealed that genetically susceptible children weaned too early onto cow’s milk based formula had 13.1 times greater risk of type 1 diabetes than children breast-fed for at least three months and without the susceptible genes. In 2000 an extensive study of children from 40 different countries confirmed a link between diet and incidence of type 1 diabetes (Muntoni et al., 2000). The study set out to examine the relationship between dietary energy from major food groups and incidence of type 1 diabetes. The total energy intake was not associated with type 1 diabetes incidence but energy from animal sources (meat and dairy foods) was significantly associated and energy from plant sources was inversely associated with diabetes. This means that the more meat and milk in the diet, the higher the incidence of diabetes and the more plant-based food in the diet, the lower the incidence. It was discovered that there are five autoantibodies (antibodies attacking own body) predicting the development of type 1 diabetes (Knip, 2002). Results of a study following infants from their birth (Ǻkerblom et al., 2002) showed that short exclusive breastfeeding and early exposure to cow’s milk predisposed children to the β-cell destroying autoimmune reaction as it induced the formation of four of these five autoantibodies. Other population studies have shown that if three to four of the antibodies are present in the blood, the risk of developing type 1 diabetes in the next five to ten years is 60 – 100 per cent (Knip et al., 2005). Type 2 diabetes very often accompanies obesity. In fact, obesity is the main risk factor for diabetes, namely abdominal obesity (around your waist). According to the latest statistics (NHS, 2010) almost a quarter of adults (24 per cent of men and 25 percent of women) in England were classified as obese. Further 42 per cent of men and 32 per cent of women in England were classified as overweight. Moreover, the numbers of obese children are startling – 16.8 percent of boys and 15.2 percent of girls (aged two to 15). With rising numbers of overweight people, the risk of diabetes is ever-increasing. Comparing diets and diabetes rates in different countries shows that as carbohydrate intake goes down and fat intake goes up, the numbers of diabetics rapidly increase (Campbell, 2004; Barnard, 2007). The difference cannot be ascribed to genetics as people who move to countries where the ‘Western’ style diet is predominant and adopt that kind of eating have much higher rates of type 2 diabetes than is their nation’s average (Tsunehara et al., 1990). An extensive, 21-year study involving over 25.000 adults in the USA found that those on meat-free diets had a 45 per cent reduced risk of developing diabetes compared to the population as a whole. Meat consumption was positively associated with diabetes in both males and females (Snowdon and Phillips, 1985). New research also suggests that eating just one serving of meat per week significantly increases the risk of diabetes – a recent study (Vang et al., 2008) looked at the link between meat intake and the occurrence of diabetes in adults. All 8.000 study participants were non-diabetic at the start of the study. Those who followed even a ‘low-meat’ diet over the long-term (the study lasted 17 years) had a staggering 74 per cent increase in their risk of developing type 2 diabetes compared to the participants following a meat-free diet for the same period. A part of this difference was attributable to obesity and/or weight gain. However, even after the researchers made allowances for weight or changes in weight, weekly meat intake remained an important risk factor. But why is that? What makes animal products so detrimental for our health? The answer is simple – the main enemy is fat. A study published in 2004 brought an outstanding discovery (Petersen et al., 2004) and confirmed the findings of previous studies (Phillips et al., 1996; Krssak et al., 1999). The researchers tested young healthy adults for insulin resistance. Some of them turned out to be insulin resistant to a certain extent and further tests uncovered why. Inside their muscle cells were microscopic drops of fat and this fat interfered with the cells’ ability to react to insulin correctly. Even though their bodies produced enough insulin, the fat inside the cells was blocking the right reactions. Muscle cells normally store small amounts of fat as an energy reserve but in the insulin resistant people the fat had built up to levels 80 per cent higher than in other young (healthy) people. Even though the affected people were slim, the fat was accumulating in their cells. These fat particles are called intramyocellular lipids and the study has shown that they start accumulating many years before type 2 diabetes manifests. It was later confirmed by other studies showing that insulin resistance in the muscle and liver is strongly linked to fat storage in these tissues (Delarue and Magnan, 2007; Morino et al., 2006). Under normal conditions, fat is metabolised by the cells’ own powerhouses – mitochondria - and it appears that people with type 2 diabetes have fewer mitochondria in their cells than they need for burning all the supplied fat. Thus the fat accumulates inside the cells (Barnard, 2007). In order to understand the extent to which diet influences the metabolism of fats in the cells, another study was conducted (Sparks et al., 2005). Young healthy men were put on a special high-fat diet that drew about 50 percent of the calories from fat (not too different from what many people in Western countries eat). After mere three days the amount of intracellular lipids rapidly increased, thus showing that the accumulation of fat inside the cells is very quick. More tests then revealed a very surprising fact – the fatty foods had an enormous effect on the genes necessary for the very existence and proper functioning of mitochondria. In fact, the fatty foods turned off the genes that normally help mitochondria burn fat. Therefore, the high-fat diet caused the body to accumulate more fat in the muscle cells and at the same time slowed down the body’s ability to burn the fat, which in turn interfered with the ability of the cells to respond to insulin. This seemingly paradox reaction can be explained by our evolutionary history. When food was scarce, the bodies of our ancestors developed special mechanisms to store fat on the occasions when they had access to energy-rich food – it was vital for their survival (Barnard, 2007). We live in a much different world now but our bodies are still ready to store fat at any time. In order to find out how insulin sensitivity in changes when the fat intake increases or decreases and to determine how important genetic make-up is compared to diet, a study of healthy African-American and Caucasian women was conducted (Lovejoy et al., 1998). The women were put either on high-fat diet (50 per cent fat, 35 per cent carbohydrate, 15 per cent protein) or on low-fat diet (20 per cent fat, 55 per cent carbohydrate, 15 per cent protein) for three weeks. The results showed that insulin sensitivity of all women on the high-fat diet decreased by six per cent, while in the women on low-fat diet it increased by six per cent in the African-American women and by 20 per cent in the Caucasian women. A recent study looked at the cell metabolism in relation to insulin resistance more closely (Hoeks, et al., 2010) and the conclusions were in line with the above – elevated levels of fats in blood and/or intramuscular fat accumulation caused reduction in mitochondrial function. Currently, the mainstream diet in many countries including the UK is high in fat, animal products and sugary foods and low in complex carbohydrates. Not only is this diet responsible for ever increasing numbers of overweight or obese people but it is also increasing the risk of diabetes and cardiovascular disease. Diabetes type 1 is a life-long condition but it can be slowed down and type 2 can be even reversed. Further health complications can be avoided or reduced in both, type 1 and type 2 diabetes – that is with the right approach. Treatment of diabetes is usually highly individual as everyone has different needs according to their condition, stage of the disease and other health complications. The classical approach to diabetes treatment is based on acceptance of the condition followed by combination of minor diet adjustments, carbohydrate counting and medication, which of course highly limits personal as well as professional life of the patient. Moreover, this kind of diet together with the medication focuses mainly on glucose management and weight-loss, but it doesn’t bring about any meaningful change of metabolism. Lifestyle intervention approach, on the other hand, is based on changing the very cell metabolism by changing your approach to your diet. It requires you to learn how to eat and how to think about food in a new way, but it does not require calorie restriction and/or combining foods from any exchange lists. 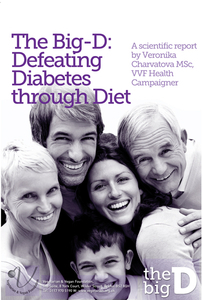 Most importantly, it is based on the knowledge that diabetes can be defeated. People with both types of diabetes will benefit from this approach but unlike people with type 2 diabetes, those with type 1 will always need to take insulin. Nevertheless, type 1 diabetics can use these diet and lifestyle changes to keep insulin doses to a minimum and markedly reduce their risk of further health complications. This approach is based on what you eat, not on counting how much you eat. This may sound surprising but in this case what you eat actually regulates how much you eat. Research has shown that it is possible to reverse type 2 diabetes – decrease blood sugar, medication doses, and the risk of complications - with the right diet. One of the first studies that tested the effects of a plant-based, low-fat diet and exercise on a group of 40 diabetic patients had outstanding results as 36 of the 40 patients were able to discontinue all medication after only 26 days (Barnard et al., 1982). The same research group later demonstrated that the benefits of this diet are long-term and last for years if the diet is adhered to (Barnard et al., 1983). In one of the groundbreaking studies that followed, the researchers employed the combination of diet change and exercise (Barnard et al., 1994). The subjects were 197 men with type 2 diabetes and after mere three weeks 140 of them were able to discontinue their medication. Another study conducted around the same time involved 21 diabetics with diabetic neuropathy (characterised by numbness and shooting or burning pains in the legs), who volunteered to follow a vegan, whole food diet and exercise programme for 25 days. Within just 16 days, 17 of the patients reported that the neuropathic pain had been completely alleviated. Although the numbness persisted, it was noticeably improved within the 25 days of the programme (Crane and Sample, 1994). A 2006 study conducted by the Physicians Committee for Responsible Medicine with the George Washington University and the University of Toronto, tested health benefits of a low-fat vegan diet emphasizing foods with a low glycemic index value in people with type 2 diabetes in comparison to a diet based on American Diabetes Association (ADA) guidelines (restricting calorie intake and limiting carbohydrates) (Barnard et al., 2006). Portions of vegetables, grains, fruits, and pulses were unlimited. Over the 22-week study, 43 per cent of the vegan group and 26 per cent of the ADA group reduced their diabetes medications. Furthermore, the vegan group lost an average of almost two stones (13 pounds), compared with just over half a stone (9 pounds) in the ADA group. The overall quality of this vegan diet was compared to the ADA diet on the basis of the Alternate Healthy Eating Index (AHEI), which is used for estimating the risk of chronic diseases (Turner-McGrievy et al., 2008). 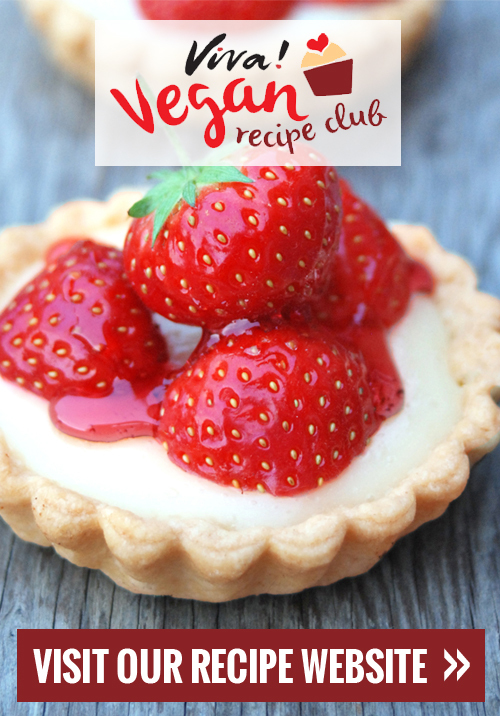 The vegan group improved in every AHEI food category (vegetables, fruit, nuts and soy protein, ratio of white to red meat, cereal fibre, trans fat, polyunsaturated to saturated fat ratio) and significantly improved the overall AHEI score. The ADA group improved only in two categories but did not improve the overall AHEI score. An increase in AHEI score (observed in the vegan group) was also associated with decreases in HbA1c value and weight. Following the success of the previous studies, a 74-week clinical trial using a low-fat vegan diet was conducted (Barnard et al., 2009a). The participants were type 2 diabetics and they were randomly assigned to a low-fat vegan diet or a diet following ADA guidelines. Glycemic control improved more than threefold in the vegan group (based on HbA1c levels) compared to the ADA group. The reduction in triglycerides (fats in blood) in the vegan group was also remarkable as well as the decrease in cholesterol levels (20.4mg/dl in contrast to just 6.8mg/dl in the conventional group). Both groups managed to lose weight but unlike the vegan participants, the volunteers on conventional diet had restricted calorie intake. Parallel to these intervention studies, another research group focused on analyzing dietary patterns of 2.875 volunteers without diabetes and determined their risk of diabetes by repeated measurements of basic indicators – blood glucose, insulin concentrations, cholesterol levels, and waist circumference. Their findings were clear: Consumption of a diet based mainly on plant foods protects against insulin resistance, while refined grains, fatty foods, sweet baked foods, candy and sugary soft drinks promote insulin resistance. Volunteers participating in some of the above studies preferred the vegan diet (Barnard, 2007) not only because it was effective but also because they found it better than the diet recommended previously. The participants in the 74-week study were repeatedly asked to rate the acceptability of their diets (Barnard et al., 2009b) and the results showed that the patients found the vegan diet was as acceptable as the conventional diet. Following a diet that reverses diabetes is not any harder than following a conventionally recommended diet but there is one huge difference: a conventional diet results only in minor changes in metabolism, while a vegan diet can actually reverse the disease! The usefulness of vegan diets was eventually endorsed even by the American Diabetes Association when in 2010 Clinical Practice Guidelines it stated that plant-based diets have been shown to improve metabolic control in persons with diabetes (American Diabetes Association, 2010). Before anyone switches to this new diet, they should inform their doctor because glucose control and insulin sensitivity can improve relatively quickly and there might be a need for medication adjustment (however, these decisions need to be made by the doctor, never by the patient). By avoiding all animal products (meat, fish, dairy, eggs) you’ll avoid eating substantial amounts of fat and your cholesterol intake will be zero. Even lean white meat and fish contain surprising amounts of fat – for example 38 per cent of calories from roasted chicken and 40 percent of calories from salmon come from fat (Food Standards Agency, 2002). All fish, although being promoted as a source of omega-3 fats, come with a good portion of cholesterol and saturated fat - between 15 and 30 per cent of the fat is saturated (depending on the species) (Barnard, 2007). Dairy products (even low-fat varieties) inevitably contain fat and most of it is saturated fat. There is absolutely no need for saturated fats in our diet. Reducing fat intake is vital for many reasons – it is essential in order to help the muscle cells reduce the amount of intramyocellular lipid interfering with the cells’ insulin sensitivity but it is also important with regard to cardiovascular health and general weight loss. There is another reason why this diet excludes all animal products – animal protein (from meat, dairy or eggs) puts an additional strain on the kidneys and can harm them (Knight et al., 2003; Barclay et al., 2010). Plant proteins do not appear to cause the problem. Protecting the kidneys is another key issue on the way to better health. All food should be of plant origin and unrefined wherever possible, which means naturally high in fibre and complex (starchy) carbohydrates, and low in fat (with the exception of oils, nuts and seeds). Animal products never provide fibre or healthy carbohydrates; on the other hand, we can get all the essential nutrients from plant foods. Avoiding certain foods is ultimately easier than attempting to moderate their intake (Trapp et al., 2010). Attempting to lower the intake of problem foods may never lead to the desired effect and the cravings for those foods might never be lost. If the problem foods are avoided entirely, once the tastes adjust to the new way of eating, the old problem foods won’t be so appealing. Even though vegetable oils are better for the body than animal fats because they contain essential fatty acids, less saturated fat and no cholesterol, it is important to keep them to a minimum. In order to reverse or improve the diabetic condition, the body needs to eliminate the intracellular fats (Barnard, 2007) and it can only do so when it is not supplied with excessive amounts of fat. Low-fat food means that the body is still getting the essential amount of fat but not more. One of the pilot studies of the effects of a vegan diet showed the importance of the type of fat consumed in the low-fat regime (Nicholson et al., 1999). The researchers compared the potential of a low-fat vegan diet with a conventional low-fat diet. The participants were all type 2 diabetics and they followed the assigned diet for 12 weeks. At the end of the study the vegan group participants had 28 per cent reduction in fasting plasma glucose levels, while the reduction in the conventional group was significantly lower – only 12 per cent. The average weight loss was 7.2 kg in the vegan group compared to 3.8 in the conventional group. Medication was reduced in all vegan participants, in one of them completely discontinued, while no medication reduction could be done in the conventional group. The amount of fat per serving should not exceed three grams (or ten percent of calories from fat). Apart from added oils, diabetics should also limit the consumption of nuts and seeds. The glycemic index or GI is a measure of the effects of carbohydrates on blood sugar levels. Carbohydrates that break down quickly during digestion and release glucose quickly into the blood have a high GI; carbohydrates that break down more slowly, releasing glucose gradually into the bloodstream, have a low GI. To help the body deal with the carbohydrate content of food, foods that release their energy slowly should be preferred. Low GI means that after ingestion of such food, the blood glucose won’t reach extremely high levels, which is exactly what people with diabetes need not only to have better control over their blood sugar but also with regard to further complications caused by hyperglycemia such as eye problems (retinopathy), nerve damage (neuropathy) and kidney disease (nephropathy). Results from 14 studies on the glycemic index show that choosing low GI foods alone reduces HbA1c (for both types of diabetes) by as much as 0.6 point (Brand-Miller, 2003). The authors of this review concluded that the benefit of low GI food consumption is similar to that offered by medication targeting postprandial (after eating a meal) hyperglycemia. Another review (Willett et al., 2002) came to a similar conclusion and the authors suggested that low GI foods improve glycemic control and reduce hypoglycaemic episodes in people treated with insulin. In summary, the new diabetes reversing diet should contain only foods from plant sources and minimum of oils and should be rich in food with low glycemic index. The new diet is therefore based on four food groups: whole grains, pulses, vegetables and fruit. While limiting the types of food eaten, this diet does not limit the amount of food. Because the recommended food is high in fibre and digested gradually, it makes you feel full sooner and for longer, while the minimum amount of fat it contains means that the calorie intake (per volume of food eaten) is limited. It eliminates the fats accumulated in your cells and thus improves the cell metabolism, enabling mitochondria (the cells’ powerhouses) to work properly and removing the fatty obstacles standing in the way of insulin sensitivity. A recent review of studies on bariatric surgery (a surgical procedure reducing the size of the stomach and gut available for nutrient absorption, performed in severely obese people) (Andreelli et al., 2009) revealed undisputable facts. Type 2 diabetes can be reversed within days of the surgery, even before any significant weight loss is achieved. The main mechanism of this sudden change is the sharp and immediate decrease of triglycerides and free fatty acids in blood and rapid reduction of fats in liver and muscle cells. Such a drastic change is of course not achievable with any kind of diet in such a short time but the effects of the surgery demonstrate the importance of a low-fat diet. We are not recommending going to such extreme measures but these findings illustrate a very important point: insulin resistance is reversible. When you steer away from refined carbohydrates and fats and eliminate animal products from your diet, the risk of heart and circulation-related problems (high blood pressure, raised cholesterol and triglycerides, atherosclerosis) plummets. There is virtually no cholesterol in plant-based foods. A recent review of studies (Ferdowsian and Barnard, 2009) on vegetarian and vegan diet concluded that a plant-based diet including nuts, soya and soluble fibre can reduce LDL (bad) cholesterol by 25-30 per cent – a figure comparable to the effects of statin drugs. The kidneys can cope with plant protein much better than with animal protein. By switching to a vegan diet, you will relieve your kidneys. Scientific research has shown that among people with any degree of kidney damage, consumption of animal protein increases the risk of further kidney deterioration (Knight et al., 2003), while vegan diet has a protective effect (Kontessis et al., 1990; Soroka et al., 1998). Anderson et al. (2004) also suggest that substituting soya protein for animal protein significantly reduces renal hyperfiltration (a condition that may develop into diabetic nephropathy – kidney disease). Many diabetes-associated complications are caused by the damage done to the blood vessels of all sizes by poor blood sugar control (allowing high glucose levels) and by raised cholesterol levels (harming the walls of arteries). Diet based on starchy, high-fibre foods removes the extra cholesterol and enables the body to digest carbohydrates gradually, and thus prevents the blood glucose from rising too high, which in turn protects the blood vessels (Chandalia et al., 2000). This is extremely important especially for the eyes, kidneys and the heart itself because these organs tend to suffer most as the result of diabetes. This diet also induces general weight-loss, which is a much desired effect. It does so without portion restriction and therefore brings about the positive change of losing weight without leaving you hungry. This is actually a very important issue because numerous restrictions and limitations and the lack of positive results have the potential to make many diabetics depressed (Diabetes UK, 2010b). The increased intake of fibre slightly decreases the intake of calories. It was suggested that every 14 grams of fibre reduce the calorie intake by about ten per cent (Howarth et al., 2001). wholegrain pasta, brown rice, oats, rye bread, couscous, grains such as wheat, spelt, barley, millet, quinoa, wholegrain breakfast cereals such as muesli (without added sugars and oils), etc. Whole grains are rich in complex carbohydrates (and therefore have low GI), fibre, vitamins (mostly B group and E) and minerals and are always low in fat. beans (kidney, pinto, black-eyed, butter, soya), lentils, peas, chickpeas, tofu and low-fat soya and bean products (burgers, sausages, mock meat, etc. ), soya yoghurt, etc. Pulses are high in protein and all of them have low GI. They are also rich in calcium, iron, zinc and fibre. broccoli, cauliflower, spinach, kale, leeks, carrots, peppers, tomatoes, squash, green beans, sweet potatoes, celery, lettuce, cabbage, Brussels sprouts, etc. Virtually all vegetables have low GI and contain many essential vitamins and minerals, as well as cancer fighting antioxidants. apples, pears, peaches, oranges, kiwi fruit, bananas, berries, grapes, etc. Eaten preferably whole or in smoothies (juices have higher GI because they don’t contain fibre). It is a common misconception that because fruits are sweet, they should be avoided by diabetics. In fact, nearly all fruits have low GI (the only exception are watermelon and pineapple). Moreover, they are full of antioxidants and contain a wealth of vitamins and minerals. * Important note on grapefruit: Grapefruit or grapefruit juice can influence the effects of some medications (Saito et al., 2005). For example it can increase the blood concentration of some blood pressure and cholesterol lowering drugs, antihistamines and some psychiatric medications. If you are on any kind of medication, it is necessary to consult how grapefruit might affect you with your doctor. To ensure sufficient intake of essential omega-3 fats, natural sources such as flax seed (linseed), hempseed, walnuts or rapeseed oil should be made part of a daily diet. Nevertheless, the body only needs small amounts so the low-fat rule applies even to these ‘good’ fats. A vegan diet based on the above principles is the healthiest possible, however, there is a need for vitamin B12 supplementation either in the form of food supplements or enriched foods such as soya milk or margarines. This requirement is actually not vegan-specific because B12 supplementation is generally recommended for all people above the age of 50. The B12 requirements might be also higher in diabetics because the commonly taken drug Metformin can reduce absorption of this vitamin (Diabetes UK, 2008). Nutritional adequacy of well-planned vegetarian diet has been confirmed time and again. As the latest review on the nutritional concerns and health effects concluded (Craig, 2010) – vegetarian diet including fortified foods is nutritionally suitable for adults and children and promotes better health. The same review also states that vegetarians have lower body weight, total and LDL (bad) cholesterol, blood pressure, reduced rates of deaths from heart disease; and decreased incidence of high blood pressure, stroke, type 2 diabetes and certain cancers. Another review focused specifically on diabetes diets (Anderson et al., 2004) and the authors came to the conclusion that nutritional therapy is essential for successful treatment of diabetes and that the most effective diabetes diet is a high carbohydrate, high fibre and low-fat diet emphasising whole grains, vegetables, fruits, pulses and low GI foods, and soya protein. A plant-based diet doesn’t only help with the management of diabetes itself but it’s also very effective at reducing all the common complications (cardiovascular disease, raised cholesterol, kidney and eye complications). Plant-based means no cholesterol, no animal protein and only a little saturated fat, which helps the heart work better, puts less strain on the kidneys and cuts down the risk of cancer. A low-fat vegan diet is not effective for both treatment and prevention of diabetes – a large population study performed in order to examine the relation between dietary factors, insulin resistance and metabolic syndrome (McKeown et al., 2004) revealed that the higher the intake of high-fibre, whole grain foods (with low GI), the lower the incidence of insulin resistance and metabolic syndrome. What we eat has an enormous effect on our bodies and if we choose the right diet, it can literally save our life. Diabetes doesn’t have to be fatal diagnosis. Scientific research and clinical studies show that lifestyle is the single most important factor in the development of diabetes and it’s never too late to try the new approach. Barnard, N.D., 2007. Dr. Neal Barnard’s program for reversing diabetes: the scientifically proven system for reversing diabetes without drugs. New York, NY, USA: Rodale Inc.
Food Standards Agency (2002): McCance and Widdowson’s The Composition of Foods. Sixth summary edition.